hridyanshi coaching center in Minakshi Puram gali no.1 Ganga Nagar, Meerut is a top Institute in the category CBSE Tutorials, also known for Competitive Exam Tutorials, Tutorials.We provides online and offline classes to our Students. Address- Minakshipuram Gali no. 1 Ameda road Ganga Nagar Meerut. 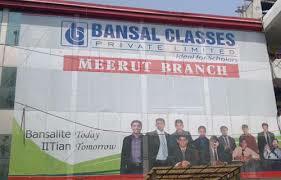 Bansal Classes Meerut Study Centre iit jee coaching centers Meerut Business Listing with Addresses, Phone Number and Map Location Uttar Pradesh India.Bansal Classes Meerut Study Centre is a Meerut, Uttar Pradesh, Meerut based firm, company or institute that offers products or services in the field of Coaching. Address-C/O Guru Tegh Bahadur Public School, 227, Meerut Cant, West End Road, Meerut, Uttar Pradesh.-250001. Paramount Coaching Centre - School / College / Coaching / Tuition / Hobby Classes of bank po exam coaching classes, ssc exam coaching classes & cpo exam. 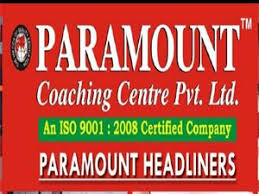 Paramount Coaching Meerut, Uttar Pradesh Center (Contact Details) Paramount Coaching Center Location : Meerut, Uttar Pradesh . 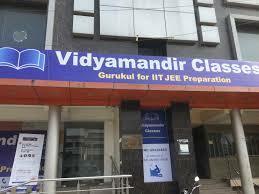 Address -1st Floor, Star Plaza, Bachcha Park, Begum Bridge Road, Meerut, Uttar Pradesh - 250001. Coaching SSC, BANK PO, Delhi/UP Police, C-TET, UP-TET, NET, NDA, CLAT, MBA CAT & MAT Coaching Institue in Hapur, Bijnor, Muzaffarnagar, Meerut.SSC Entrance Exams Eligibility. A Brain child of Mr. Alok Gupta was modestly launched in August 2003 with a handful of 12 MCA Entrance Training Aspirants, .